Al-Aqsa Foundation for Heritage and Waqf stated, Thursday, according to WAFA, that Israeli authorities have almost completed grid of tunnels underneath Bab al-Mathara, one of the Al-Aqsa Mosque complex gates. 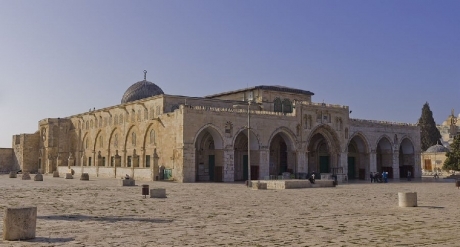 In addtion, the Foundation has said that Israel has completed digging tunnels and excavations underneath Bab al-Mathara, also known as the Ablution Gate, connecting them with the other grid which runs underneath the western wall of the mosque. These excavations, says the Foundation, are carried out in secrecy and under the pretence of "archeological excavation" with funds acquired through the radical settler organization of Ateret Cohanim, and have uncovered large vaulted halls soon to be open to the Israeli public. "All the archeological findings date back to various successive Islamic periods, especially the Mamluk period; however, Israeli occupation authorities claim they date back to the Temple era," said the Foundation. Also of note, according to WAFA, is that the grid of tunnels and excavations run underneath the vicinity of the western border of Al-Aqsa mosque, an area known as Hamam al-‘Ayn, less than 50 meters in distance from the mosque, penetrating deep underneath Bab al-Mathara, located within the mosque. Yesterday during the early evening, several Palestinian youths were riding bikes near checkpoint 56 in the Tel Rumeida area of Al-Khalil (Hebron). At around 7pm, one youth, 17-year-old Izz Adel Bedo, from the Jabal Al-Takruri area of Hebron was knocked off his bike and run over by a settler driving a bus on the way to the illegal Tel Rumeida settlement. Paramedics arrived within about five minutes, leaving their ambulance parked outside the checkpoint whilst they came inside to attend to the youth. By this time, approximately 15-20 Israeli soldiers and border police had arrived on the scene and were preventing local Palestinians from filming and photographing the incident, and the bus that had run over the youth had driven away from the scene. his neck, medics placed him in a neck brace as a precaution before attempting to move him. He was taken through the checkpoint to the awaiting ambulance and was taken away to Al-Ahli Hospital for treatment. At around the same time that the ambulance was leaving, a group of Israeli soldiers entered through the checkpoint into the H1 (Palestinian Authority controlled) area of Hebron and threw a stun grenade in the general direction of the ambulance and some Palestinian youths who had gathered. The youths then started to throw stones in the direction of the checkpoint. Israeli soldiers then launched tear gas canisters and more stun grenades. Back on the H2 (Israeli military controlled) side of the checkpoint, approximately five or six settlers, some of them armed, were extremely aggressive in their behaviour. One armed settler assaulted a Palestinian man who was coming through the checkpoint into H2. He then argued with the soldiers, apparently demanding that they take some sort of action against the Palestinians who had gathered. He spent a further 10 minutes doing this and generally attempting to provoke a further incident. Other settlers, including the hardline settlement leader Baruch Marzel, were verbally abusing the Palestinians and international observers present. After a further 30 minutes, the settlers left in their cars and the soldiers also dispersed. Neither the Israeli soldiers nor border police made any attempt to locate and/or talk to the driver of the vehicle. Settlers have used their vehicles as weapons against Palestinians many times before, as has been reported previously. Israel has decided to place under house arrest three young Jewish extremists suspected of planning to disrupt Pope Francis' visit to the Holy Land this weekend, police said on Wednesday. "The police and Shin Bet (security service) have taken out restraining orders against several right-wing activists who, according to information from Shin Bet, are planning to commit provocative acts during the pope's visit," police spokeswoman Luba Samri told AFP. Samri, who did not elaborate on what it was thought they intended to do, said the restraining order would apply for four days. Media said the three activists were to be put under house arrest on Thursday, two days before Francis arrives in the region. The Israeli army would back the measures. Pope Francis begins his visit to the Holy Land on Saturday when he flies to Amman and meets Syrian refugees before traveling to Bethlehem, Tel Aviv and Jerusalem. He will meet with all the main Israeli, Jordanian and Palestinian leaders, but only briefly. There has been opposition from ultra-Orthodox Jews over perceived Vatican designs on holy sites in Jerusalem. 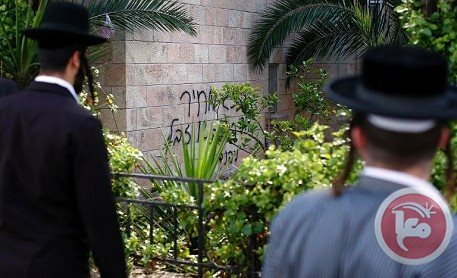 Israel, which will deploy an extra 8,000 police throughout Jerusalem for the pope's visit, has already strengthened security around Christian sites targeted in a wave of vandalism blamed on Jewish extremists. US officials said Wednesday that they supported the pope's visit to the Middle East. But State Department spokeswoman Jen Psaki said Washington "would certainly be concerned about any rise of anti-Christian or anti-religious sentiment that's growing there. "Obviously we condemn that type of rhetoric and behavior," she told reporters. Restriction orders have already been imposed on two students from a yeshiva Jewish seminary at Mount Zion, where the pope is to hold a mass in the Cenacle, the reputed scene of Jesus' last supper, on Monday. Two gatherings of ultra-Orthodox Jews and nationalists at the site also known as the Upper Room, and another is scheduled to be held there on Thursday. The lawyer for one of the activists said the restriction infringed on his client's right to freedom of expression. "Israel is becoming a undemocratic country that silences protesters," the lawyer Itamar Ben-Gvir told AFP. Israel's top police officer on Sunday vowed that Jewish extremists would not be allowed to spoil the upcoming visit of Pope Francis. "There have been attempts here -- principally as we get closer to the visit itself -- by some extremists to try and make a provocation, and create a bad atmosphere before the visit," Police Commissioner Yohanan Danino told reporters. "We have absolutely no intention of tolerating this." Israeli Occupation police arrested Tuesday morning, a Palestinian employee works for Al-Aqsa Mosque's construction committee, affiliated to Islamic Endowments Department, from his work place inside the mosque. According to Al-Aqsa Foundation for Endorsements and Heritage , the Israeli troops arrested the employee Suliman Abdulateef and took him to one of its investigation centers in the city. Meanwhile, more than 22 Israeli Settlers and 15 Jewish students stormed al-Aqsa compound from Mughrabi Gate heavily guarded by Israeli occupation police. The sources mentioned that some of the prayers and students faced the settlers by in chanted "Allah Akbar". 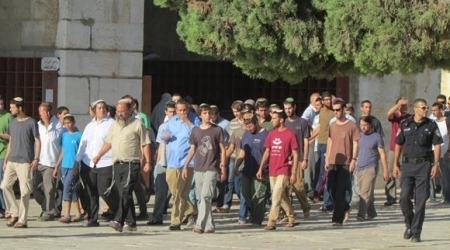 The Israeli settlers and soldiers stormed the al-Aqsa compound almost on daily bases. Violent clashes erupted Thursday at dawn between Palestinians and Israeli settlers at Joseph's Tomb after being stormed by dozens of Jewish Israelis and performing religious rituals there. 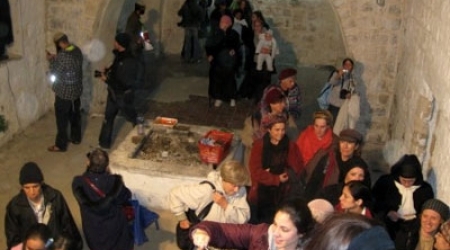 Witnesses said big bus carried the settlers, escorted by a large number of Israeli military jeeps stormed the Tomb. They added that IOF fired rubber bullets , tear gas canisters and stun grenades at young Palestinian men who pelted military vehicles with stones and empty bottles . Several injuries and suffocation cases among Palestinians were reported and a state of panic prevailed in the place. Clashes lasted for hours, before the withdrawing of Israeli patrols towards Hawara refugee camp south of the city. Israelis settlers break into Joseph's Tomb, claiming that it was the Prophet Joseph peace be upon him, while the historical novels stressing that the funerary is to Sheikh Yusef Dweikat, a local religious figure. The occupation forces stormed the village of Burqa to the northwest of Nablus, and handed Maan Haji,15, a summon to appear before the Israeli intelligence. The Israeli Jerusalem District Police indicted Haim Gamliel, 24, and three minors, who under the assumed name Yossi Cohen, used several WhatsApp groups and a Facebook page called “Jews Against Assimilation” to organize attacks on Arabs for racist reasons. 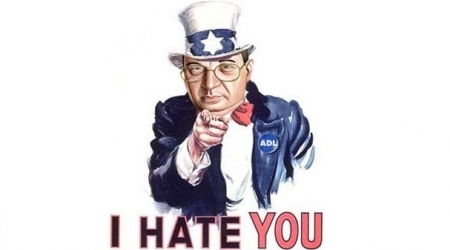 The indictment attributes to Gamliel charges of conspiring to carry out a crime for racist motives, and assault, it turns out that the messages sent in the group were aimed at finding and reporting incidents of “assimilation” and rescuing Jewish girls,” and called for attacking Arabs. Gamliel’s conviction was made possible following a police investigation, after an Arab worker in a store selling handbags in Jerusalem’s Mea Shearim quarter was attacked. The attack, by three youths aged 16-17, took place in January. The three were arrested about a week ago, and confessed and said they had beaten the man “because he is an Arab,” and said they were sent to the site by the WhatsApp group run by Gamliel. The police and GSS agents investigating the price tag incidents in the past month in Yokneam arrested another four suspects and the police are checking their role in the incidents. 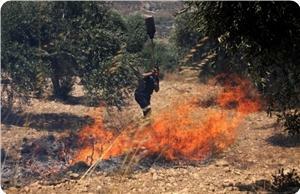 Jewish settlers set on fire ten dunums of Palestinian cultivated land lots east of Yatta town, south of al-Khalil, on Thursday. Ratib al-Jabour, the coordinator of the anti-wall and anti-settlement committees in southern al-Khalil, told SAFA news agency that the targeted area, to the east of Yatta, is owned by Khaled al-Najjar. He said that inhabitants rushed to extinguish the fire but to no avail, adding that the fire destroyed the ten dunums. He denounced the incessant settlers’ attacks on farmers and their property, charging that the attacks aimed at forcing the farmers and inhabitants to abandon their land and then annex them to their settlements. Settlers from Ariel on Wednesday used bulldozers to raze agricultural lands belonging to Palestinian farmers from the Salfit town of Kifl Haris, witnesses said. The settlers also carried barbed wire with them and razed land north of Salfit in preparation to confiscate it, locals said. A local activist who monitors settlement activities told Ma'an that Ariel settlement is expanding to the West and South and construction work has increased dramatically during the 9-month period of peace negotiations. Ariel settlement is located 16.5 kilometers east of the green line in the center of the Salfit district, blocking Palestinian development in the area. The illegal settlement also prevents natural contiguity between the northern and central West Bank. 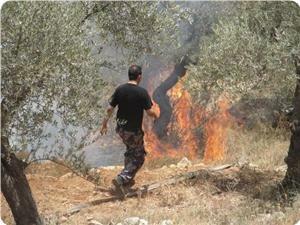 Jewish settlers from Kiryat Arba settlement in al-Khalil set Palestinian crops on fire on Wednesday morning. A local source told the PIC reporter that the settlers started fire in wheat and barley fields near the bypass road under Israeli army protection. Areas close to the bypass road are targets of regular attacks by settlers in an attempt to annex them to the settlement. AbdulLatif Simrin is no Jesus, but according to a lease presented by Jewish settlers as evidence to an Israeli court, the Palestinian man who died in 1961 sold them his land 50 years after his death - even by Holy Land standards, Simrin’s resurrection is beyond miraculous. First came cellular company towers, followed by caravans that started mushrooming atop the hill opposite Burqa, where the illegal outpost of Migron was established on Simrin’s and a few other Palestinian families’ private lands in 2002. One of nearly 100 illegal outposts dotting the West Bank, established by Jewish settlers without Israeli government authorisation, Migron soon became one of the largest and most developed outposts at the time. Representatives of AbdulLatif Simrin and others took their case to the Israeli Supreme Court, demanding the eviction of more than 50 Jewish families residing illegally on their lands. 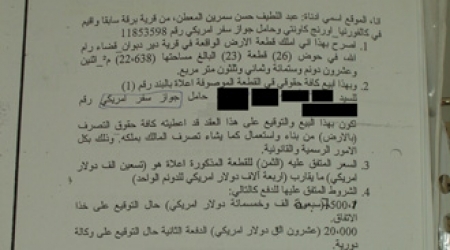 During the trial, settlers presented a document allegedly signed in 2003 by AbdulLatif Simrin, who lived in California, selling them five acres of his land for $90,000. The issue was that the illiterate farmer who used his thumbprint instead of a signature died without ever leaving Palestine, decades before he could have signed the document. In 2011, the court deemed the document forged and ordered the evacuation of Migron, since it was established on private Palestinian land. However, Palestinians had little reason to celebrate. Not only did the settlers relocate to a nearby hilltop, a mere two kilometres away, creating a new settlement, but they also presented another document claiming they purchased a new plot from Burqa’s Yusef Nabbut in 2012, hindering the demolition of the outpost. Nabbut’s son, 57-year-old Mohammed, insists his father could not have made the sale to the settlers or the alleged middleman. "They got papers with his name written there and my father was an 85-year-old man who used his thumbprint," Nabbut said. Moreover, there are no records of the alleged middleman. "They made up names and IDs," he added. In Ramallah, Mohammed Nazzal’s desk is a mess. The man who’s been in charge of the settlement file for the Palestinian government for nearly four years is always busy. He says his department is currently fighting in Israeli courts to prove Palestinian ownership of hundreds of acres of land across the occupied West Bank. "The problem is that most Palestinian lands are not officially registered," Nazzal told Al Jazeera. "Even in cases of registered lands, forgery would take place and Palestinians won’t even realise it until they approach the Israeli Civil Administration for the documents - if they want to build on the land, or they see structures on it." For the vast majority of unregistered lands, comprising more than 60 percent of the occupied West Bank, any registration needs to be published in local papers in accordance with the law before it becomes final. Palestinian experts say those ads often appear in internal pages, in small fonts and are published during holidays. Even if they want to challenge them, the procedure is often very complicated for Palestinians, bearing in mind the lands in question are often under settlers’ control. According to Nazzal, many acquisitions are conducted by development companies with Arabic names. "It’s part of the deception process," he said. The process, according to Nazzal, often includes the use of middlemen who either do not exist or are already on the run for selling lands to settlers. "They want the courts to believe they buy lands in good faith," Nazzal told Al Jazeera. Settlers like David Haivri refute those accusations. Haivri said that Palestinians do sell lands to settlers, but because they fear for their well-being, "it makes sense to hear people retracting after they’ve made deals". However, Palestinians and their advocates maintain settlers’ stories often do not hold water. "The frauds sometimes are ludicrous - someone who’s dead sold the land, the spelling of the last name is not correct," Reut Mor, the spokesperson for the Israeli NGO Yesh-Din told Al Jazeera. Back in Burqa, Nabbut has been busy making shuttle visits to Israeli police centres for the Migron investigation. Despite the hustle, he’s persistent. "My father is dead and can’t defend himself," he said. "Land and honour are the same; we won’t give up on either." His visits finally paid off, as the Israeli police recently deemed the last document submitted by settlers as another forgery. Neither Nabbut’s cry of foul play, nor settlers presenting such leases at legal crunch time is unique. On the contrary, presenting alleged purchases right before an evacuation is becoming more common, which begs the question: Why do settlers hold off on presenting proof of ownership until the very last minute? The answer is simple, according to Mor: "It works." If the Israeli court is to decide on evacuation, it will exclude the structures on the plot in question. Regardless of the authenticity of the presented documents "that usually buy settlers quite a lot of time", she explained. Although the whole settlement enterprise is illegal under international law, the Israeli legal system has managed to provide a fig leaf to the occupation by ordering the evacuation of outposts built on private Palestinian lands, while dealing with settlements as legal structures. As settlers secure a foothold in strategic West Bank places, they keep Palestinians away from their lands longer. That, in turn, makes it easier for Israel to declare private lands as "state" land, technically confiscating it and often to the benefit of the settlers. Meanwhile, although it admits outposts are illegal, the Israeli government leaves them to flourish under its nose by providing them with basic services as well as protection. A 2005 report [PDF] shows the Israeli Housing Ministry spent millions of dollars on outposts, including around $1m in Migron. To further complicate an already complicated situation, a recent Israeli report recommended the “legalisation” of most outposts in the occupied West Bank, even those built on private Palestinian lands, as Levy report of 2012 [PDF] concluded settlements do not breach international law because the West Bank is "not under military occupation". 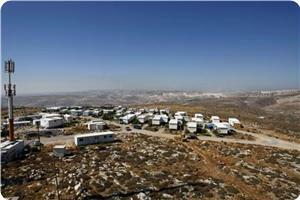 In recent years, six illegal outposts were "legalised", by being turned into settlements, while eight more are in the process, according to Yesh-Din. In total, settlements and the related infrastructure leave Palestinians with less than half of the West Bank. Burqa lost two-thirds of its land to settlements and outposts. Although the Israeli authorities promised to remove the structures from Nabbut’s land by May 21, he remains wary. "I’ll believe it when I see it," he said. A young Palestinian man says he was beaten and arrested by a group of Israeli police officers on Monday evening. Sam al-Araj, 18, said he was attacked at 10 p.m. Monday after leaving the light rail at the Damascus Gate station near Jerusalem's Old City. Al-Araj explained that he was with a friend in the rail when a group of young Israelis started making provocative gestures at them. When they left the train, there were around 35 Israelis aged 20-25, and mostly Russian-born Israelis surrounded them. When they tried to flee the scene, the Israelis followed them, he said. “My friend managed to escape from the area, and I was assaulted and beaten with rifle butts,” he added. A number of them showed police IDs after the attack, and al-Araj was arrested, handcuffed, and taken to Saladdin police station where he was beaten and assaulted, he said. Al-Araj added that he was released on bail at 6:30 a.m. on Tuesday. 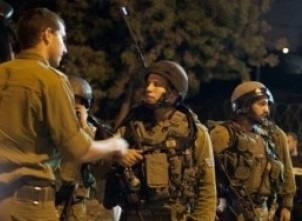 An Israeli police spokesman did not immediately return calls late Monday. 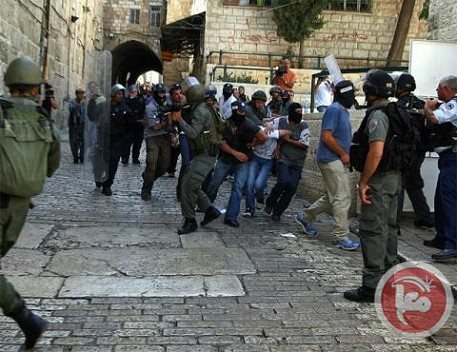 A group of Israeli troops and settlers on Tuesday morning broke into the courtyards of the third holiest Muslim shrine, Al-Aqsa Mosque and detained Palestinian students of Quran. 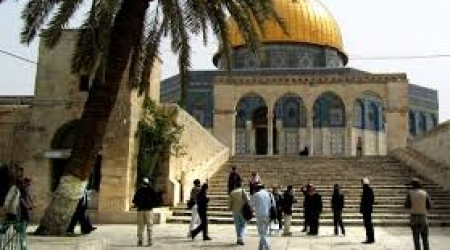 Coordinator of Al-Aqsa Foundation for Waqf and Heritage, Mahmoud Abu Atta said that 13 of extremist settlers broke Al-Aqsa yards claiming they were studying the historical features of the alleged Temple Mount. Israeli colonial troops detained seven of Palestinian students of Quran after assaulted them, Atta added. In this respect, Atta pointed out that the defenders of the holy shrine accompany with a group of students defended Al-Aqsa yards and condemned the detention of the seven students. Tension conditions overwhelmed the place as many of students and defenders of faith were in the holy shrine to protect it from the settlers and colonial power attacks, he aware. He added that the colonial power rapidly intervene inside the holy shire, and provide heavily protection for the settlers. They form a human barrier that prevents Palestinian worshipers from approaching any of these storming groups. A number of fanatic Israeli settlers hurled stones, on Monday, May 19, 2014, at a Palestinian car driving on the main road near Beitello village, near the central West Bank city of Ramallah, causing injuries to the driver and smashing the windshield of his car. Local sources said that a number of settlers of a nearby illegal Israeli settlement threw rocks at the car of Mohammad Abdul-Aziz , fracturing his nose after smashing his windshield. The wounded Palestinian was moved to a local hospital. The settlers fled the scene following the attack; Israeli soldiers did not attempt to locate the assailing settlers, the sources added. Israeli settlers frequently attacked the Palestinians, their homes, lands, property and even holy sites and graveyards in occupied Palestine. The assaults are also part of “Price Tag” attacks against the Palestinians, blaming them for the rare Israeli removal of illegitimate settlement outposts. Such attack included burning, and trying to burn, several mosques and churches, desecrating Islamic and Christian graveyards, and racist graffiti insulting the Palestinians, and even insulting Prophet Mohammad and Jesus Christ. More than 500,000 Israeli settlers live in settlements across the West Bank and East Jerusalem, in direct defiance of international law. 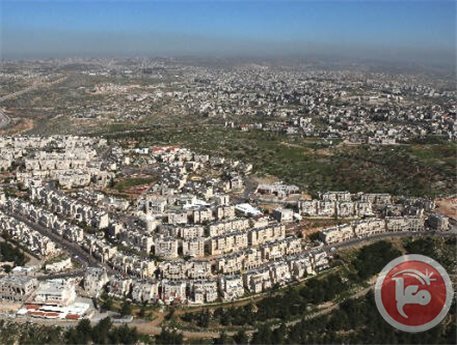 Haaretz newspaper said that recent police investigations unveiled that settlement construction organizations had used forged documents to prove that the land of Migron outpost near Ramallah city was legally purchased from its Palestinian owners. Consequently, the outpost constructed on the privately-owned Palestinian land is due to be removed next Wednesday, pursuant to a court verdict taken in 2012. Peace Now group had raised the issue of this illegal outpost in 2006 when it filed a petition with the high court of justice and eventually the court ordered the demolition of the outpost in the summer of 2012. Later, the court decided to freeze the demolition of the Jewish outpost until the purchase claim was investigated by the Israeli police. Despite the obvious criminal activities of Al-Watan company and Amana movement, the Israeli police still refrain from making arrests among their members. 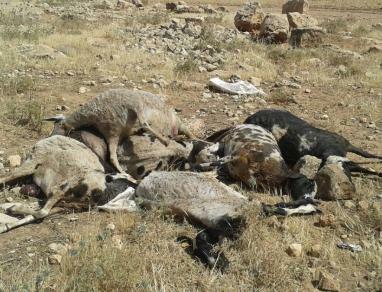 Aref Daraghma, head of the Al-Maleh Village Council, in the Northern Plains of the occupied West Bank, stated that at least 14 sheep died due to toxins left by Israeli settlers in a Palestinian grazing land, close to an illegitimate Israeli settlement. Daraghma said that 14 sheep, belonging a local shepherd, identified as Abdul-Rahim Bsharaat, from the al-Hadeediyya village, died after eating grass mixed with toxins, the Wattan News Agency has reported. He added that the settlers frequently dispose toxins, trash and other materials into Palestinian grazing lands in the area, especially near the Roeh illegal settlement, completely built on private Palestinian lands. Daraghma further stated that Israeli settlers in the area are extremely hostile, frequently attacking Palestinian farmlands, grazing area, shepherds and their flocks. He added that resident Bsharaat losses are estimated by 1,000 Jordanian Dinars (Approximately $1,413). Palestinian villagers and shepherds in the area are subject to frequent attacks by fanatic Israeli settlers, and are subject to ongoing violations and displacement by Israeli soldiers. Many villages and Bedouin communities in the area have been repeatedly demolished and removed for the benefit of Israel’s illegitimate settlement activities, and due to frequent military drills carried out by the army there. 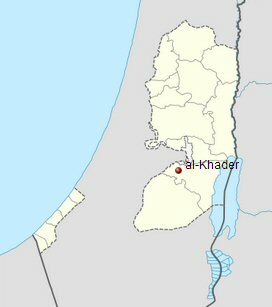 Israeli forces, on Sunday, stormed a school in the village of al-Khader, to the south of Bethlehem, while settlers took over an agricultural property in the village, according to Ahmad Salah, coordinator of the anti-settlement committee in the village. Salah said that the soldiers stormed the school in the morning hours, causing a state of panic and horror among the students, most in their first, second and third grade of school, WAFA reports. Meanwhile, Israeli settlers from the illegal settlement outpost of Sidi Boaz took over an agricultural pond, to the west of the village, where they conducted religious rituals. The pond was used by residents use to irrigate their crops. Salah said the incident comes as a prelude to expand the outpost, according to WAFA, noting the escalated assaults by settlers in the area, including the closing of agricultural roads and the act of unleashing dogs at residents. 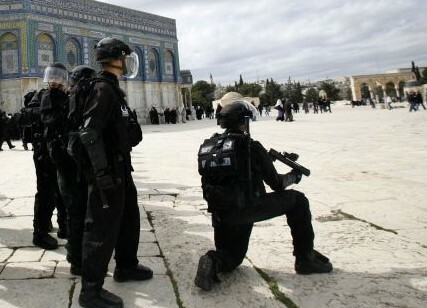 Occupied Jerusalem - Israeli police officers attacked and kidnapped an elderly Palestinian man in the courtyards of the al-Aqsa Mosque, in occupied East Jerusalem, the WAFA News Agency said. The elderly man was moved to an Israeli detention and interrogation facility in the occupied city. Eyewitnesses told WAFA that a group of settlers, heavily accompanied by Israeli soldiers, stormed the yards of the Mosque from the al-Magharba Gate area, where they harassed Palestinian worshipers who started chanting and peacefully protesting the attack. The police then kidnapped a 60-year-old worshiper, alleging that the man “tried to stop the settlers” as they “attempted to perform religious rituals”. The Israeli attack is part on ongoing violations, by Israeli soldiers and settlers, against the Palestinians in the Al-Aqsa Mosque and in occupied Jerusalem, as well as the rest of occupied Palestine.